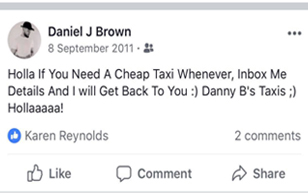 Hello, I’m Daniel Brown and I’d like to share my story with you. 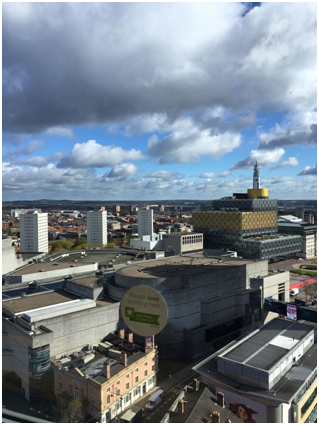 I grew up in Birmingham to a working class, single-parent family. We never had a lot of money growing up and at one stage was nearly homeless before we moved into a housing association home when I was 5. From an early age, I had always wanted to become successful and think the fact that we didn’t have a lot of money was a strong motivator. Throughout school, I was always planning and plotting ways to make extra money. 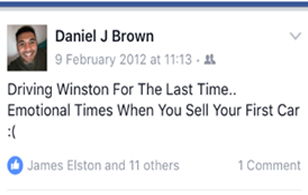 This early entrepreneurial spark is what led to my first business venture when I was 14, which was buying 40 cigarettes a day for £10, selling each cigarette for 50p and making £10 profit a day(don’t judge me… I was a kid). I did this for 2 years and it is what helped me pay my own way throughout school. 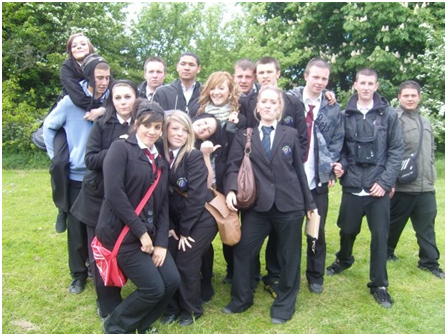 After a year of partying, messing about and chasing girls, I ended up failing all my A levels and got a job at McDonald’s to pay for a holiday me and my friends had booked. I was 17 at the time and earning £3.85 per hour (talk about slave labour). 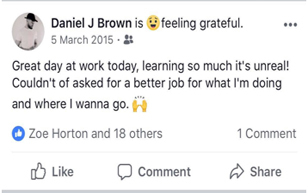 This was my first real introduction to working life and gave me the wake-up call I needed to sort myself out and start taking life seriously. I had always been taught that the only way to become successful and to make a lot of money in life was to go to university and get a good job, so the next step I had to take was to write a letter to my college head of year, explaining why I deserve another chance at the college after being such a nuisance in my first year… Luckily, I was allowed back to college and started a business BTEC whilst still holding my job at Mcdonalds. 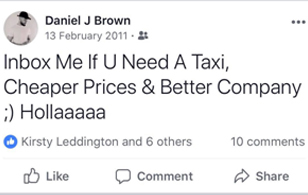 I realised that people were going out and partying on weekends and paying a fortune for taxis, so if I could find a way to offer a cheaper taxi service, I could make money whilst driving… CHA-CHING! Doing this is what really opened my eyes to the power of business and reignited my spark to work hard and become successful. With this mindset shift, everything changed. 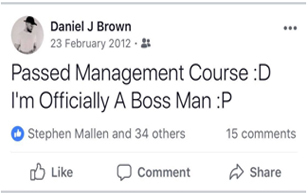 During the next 2 years, I received two promotions at McDonald’s becoming a shift manager, ran a successful taxi business and ended up getting the highest grade possible in my BTEC. 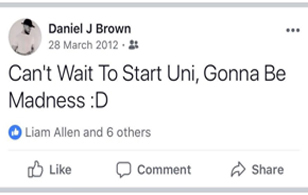 In 2012 I started my University journey. 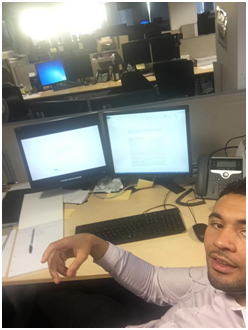 I secured a position at Aston University and lived there Monday-Friday and came home to work at McDonald’s on the weekends to pay my way. It was a rigorous routine, but it was the only option I had because I wanted to experience university life and live on campus. 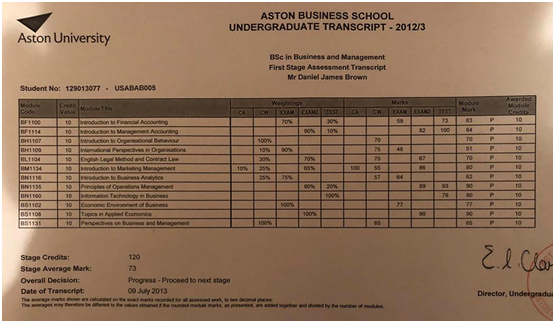 I was studying Business & Management and was determined to get a 1:1 in my first year because I needed a way to differentiate myself. 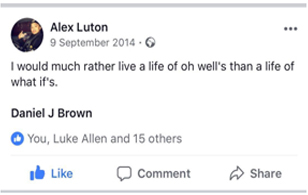 Because of this goal, I would often stay up until 4 in the morning studying in the library, I plastered my room with my work to help me memorise the content and would travel back home every weekend to make £100 to live on from McDonald’s. It was an intense year! Fortunately, though, the hard work paid off and I was able to achieve a 1:1 in my first year, with an average grade of 73% across 12 modules. I was over the moon! 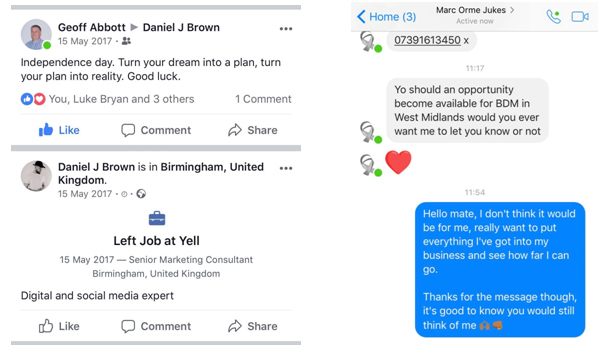 After I had finished my exams for the first year, I was sitting in my flat, probably watching The Wire or Breaking Bad, when a friend sent me a random message about a business opportunity he had come across. The message went along the lines of. 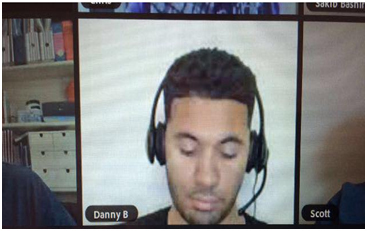 “Yo Danny b, hope you’re good bro! Random message but I’ve come across a business opportunity that I think you could do well in, check out this video bro”. Now because of my other ventures in school and college, I was open minded to check out what he was talking about. Although at first, I was sceptical, I pressed play and was interested to learn more. 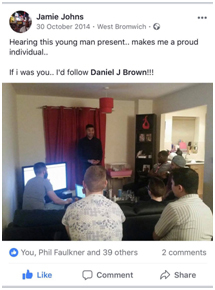 After watching the video, I started to get more and more curious and two days later attended an event that we had all been invited to that would explain further. 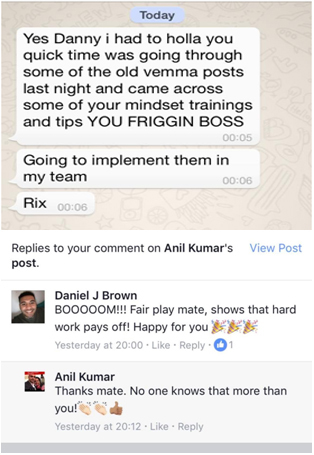 At the event, I learned that the business opportunity was an Affiliate Marketing company called Vemma where we could get compensated for consuming and selling their products. The products were healthy and the concept was great, but looking back, that wasn’t what got me excited. My lightbulb moment came from the knowledge that was being spoken by the guy hosting the event! I will never forget the one quote that he referenced that completely shifted my entire life philosophy. 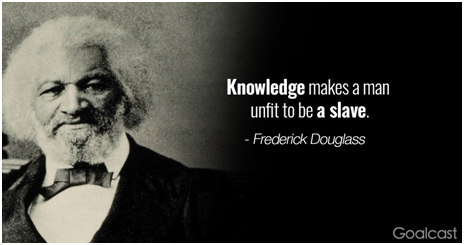 The one quote that caused me to drop out of university and step away from everything I had worked for over the past 5 years. 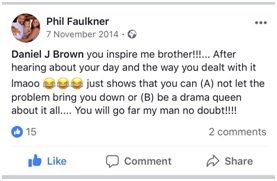 As I sit here and write this, it is honestly mind blowing to put into perspective the impact this one simple quote has had on the decisions I have made in my life and the position I am in now. So what was the quote? 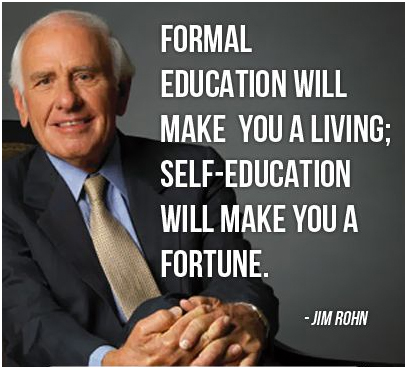 “Formal education will make you a living; self-education will make you a fortune”. After hearing this, my entire perception started to shift. My goal had always been to be financially successful and up until this point, it had never occurred to me that I had never actually spoken to anyone with true wealth. All my ideas were coming from teachers and parents who were working a job and telling me that “the best days of their lives were when they were at school”. I never stopped to think if these were the best people to get advice from, but you don’t know what you don’t know. So after making the decision to get involved with the new venture, I started diving deeper into the personal development over the summer holiday. I had decided to take the same work ethic and routine I had at University, and apply it to YouTube by learning from financially successful people. I soon started to realise how much I didn’t know and how important self-education was to gain an unfair advantage in life. 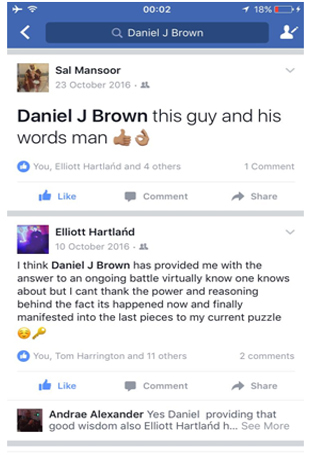 I was rebuilding my foundations. 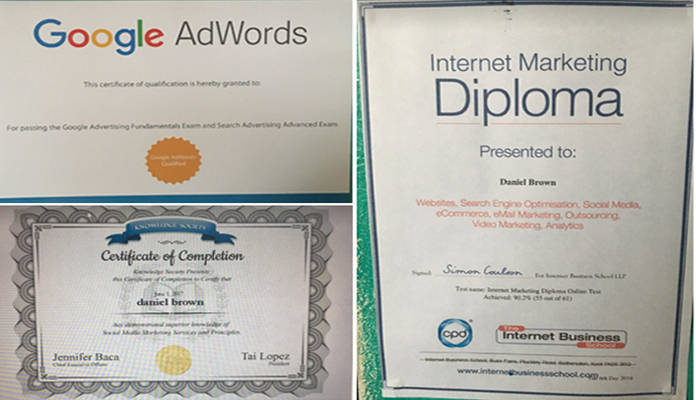 Over the next few months, I was applying what I was learning, promoting my new business and studying harder than I ever did at university. I was fascinated. 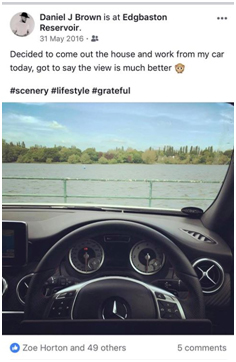 I quickly became one of the top income earners in the UK and built an international organisation at the age of 20, whilst still working at McDonald’s on weekends. This was completely game changing for me. 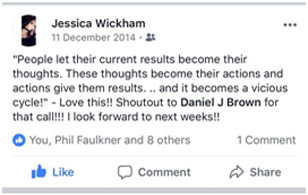 Just four months earlier, the only thing I cared about was getting good grades (formal education), but now I had made a decision to drop out of university so I could put all my attention on studying successful people who actually had the results I wanted (self-education). Over the next two years, I put everything into the business and completely reinvented myself. I began doing things I would never have imagined myself doing before and was building a great following doing so. My motto was, the magic happens outside your comfort zone. 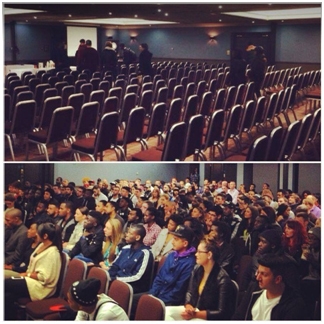 I would often speak in front of crowds of 50-100 people promoting the business and the positive ideas I was learning myself. 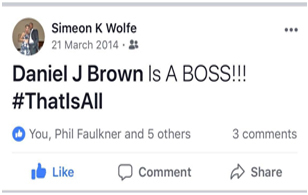 I started to make motivational videos and posted them to my personal Facebook profile. I was travelling to different countries and was recognised as being a leader in the organisation. It looked great from the outside, but my business wasn’t growing financially. 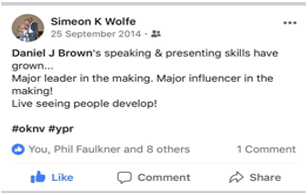 What I soon began to realise was although I was building a strong mindset and inspiring a lot of people, I was falling into a trap that plagues the majority of entrepreneurs. I was starting to confuse fame with success. I started to think that making videos and sharing what I had learned from a book would lead to my financial success. 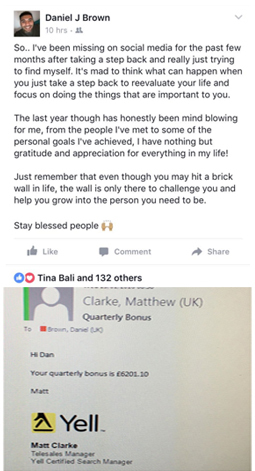 I was posting on social media every day, making videos twice per week, contacting friends and family about my opportunity and 101 other things that everyone was telling me I needed to do, but it never made a difference to my bank balance. 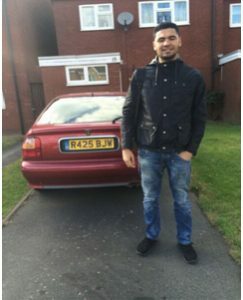 At this stage, I had learned that there was more to life than money, but for me to achieve my true goals and dreams, money was going to be a huge factor and I needed to create more value. 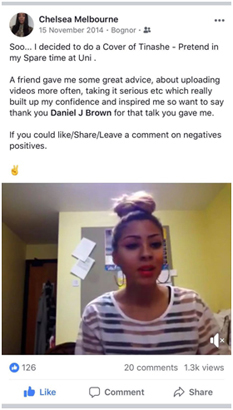 On top of that, the business was beginning to receive a lot of negativity from people making false claims and I started to get labelled as a motivational speaker. I was preaching about entrepreneurship and business, but I had never even spoken to an accountant. I was great at speaking and selling, but when it came to true business mastery, I had no idea. We were getting taught outdated ideas and I realised that taking action was only the right thing to do when you were taking the right actions. 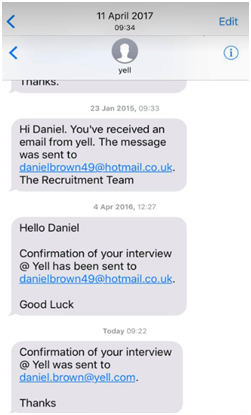 By now it was November 2014 and I had managed to get an interview for a telesales job at Yell.com. It couldn’t have come at a better time. 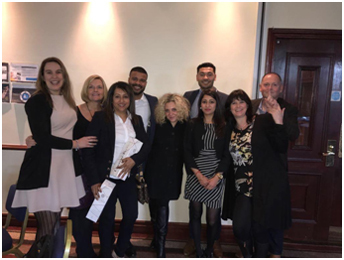 With the business not going the way I wanted it to and my desire to learn more about business, sales and marketing, this was the perfect opportunity for me to develop and enhance my skills whilst making a very good income. 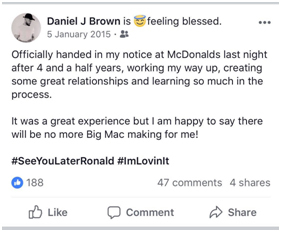 Fortunately, I managed to secure the job and I was able to say goodbye to McDonald’s after 4 and a half years. The next stage of the journey began on March 2nd 2015. The first step of the induction at Yell was an intense 8-week sales and marketing workshop. Once complete I would be jumping on the phone and selling to business owners all over the UK. 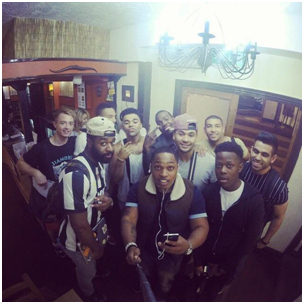 It was literally the perfect environment for me to learn and develop my skills. I had learned from my earlier studies that success leaves clues and learning from other peoples experiences is a lot cheaper and a lot less time consuming than learning from personal experience. 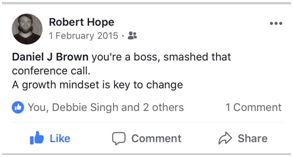 So when I first got on the phones, I soon realised that this was a completely different ball game and I would have to level up if I wanted to become successful. Fortunately, I was able to sit next to one of the top performers in the department, this was where I knew I could gain an unfair advantage. In my first week or so I would easily spend 5 hours per day on the phone, whereas the guy next to me would spend 2 and a half hours on the phone and sell double what I did. It didn’t make sense, how could I be on the phone for twice as long as someone and sell half the amount he did? 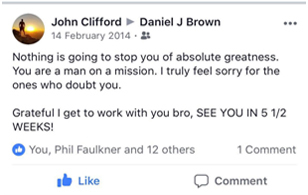 To secure my new promotion there was only 1 job available and I was up against 6 others who had all worked for the company much longer than I had. So to help me stand out, I sent an email to everyone in the department asking them to leave me a review if they believed I would be good for the role. I had built strong relationships with a lot of people in the office and thought this would be a great way to differentiate myself. 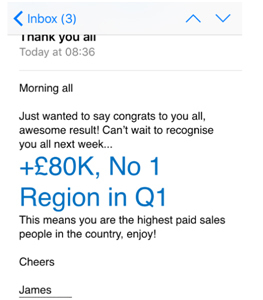 Over the next few days I received over 25 testimonials and I was fortunate enough to get the job. I was on top of the world. 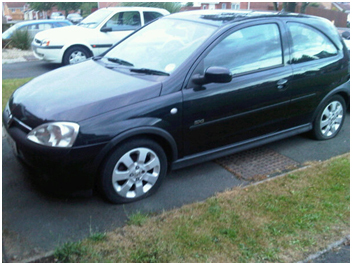 After the 8 weeks of training and working from home, it was time to get on the road and start selling – I couldn’t wait! 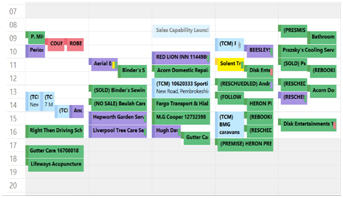 I had learned from my manager that the key to success when being on the road was the same as telesales – always having a full diary. 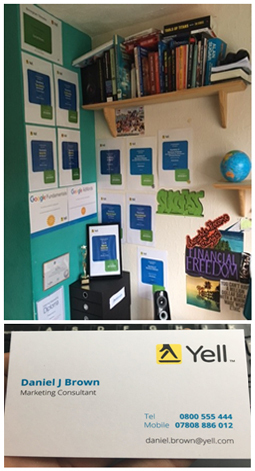 As well as keeping myself busy speaking to customers, I was also actively investing in my education so I could keep growing my skills set. 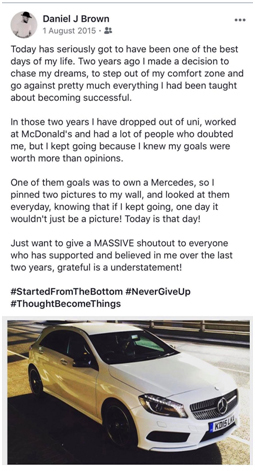 I was reading books, travelling to seminars, investing in high-level coaching programmes and a bunch of other things because I was determined to reach my goal. 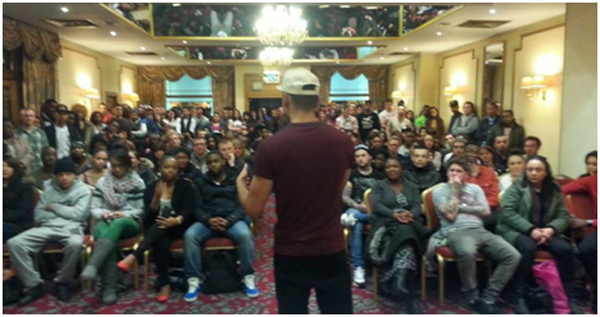 To date, I have easily invested over £100,000 into my education and it is definitely the best investment I have ever and will ever make. 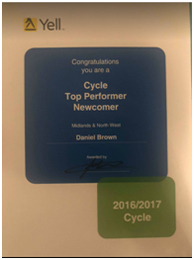 By March 2017 my goal of becoming a top performer was about to become a reality. 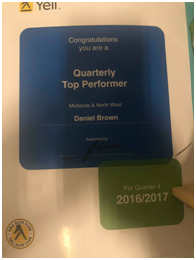 After 2 years of hard work, investment and dedication, I became the number 1 consultant in the entire Midlands and North West region for the quarter. It was honestly mind-blowing to literally see my goals come to fruition after only being with the company for less than 2 years with no prior sales experience. Now throughout my time at Yell, my job was ultimately to take complicated ideas and break them down in a simple way for business owners to understand – it literally became my obsession. So much so that my entire business today is a result of this obsession and way of thinking (but more on that later). I was so fascinated with learning more and more about marketing that although I had what looked like the ‘dream’ job, I was still not satisfied because I knew there were better ways for business owners to get results and there was A LOT more to learn. The times of having only one account manager for the whole year who just set up an advert in the Yellow Pages had gone. We were now in the internet world where customers had became a lot more sophisticated, competition had became a lot more fierce and the old tactics were no longer working. I knew something had to change and I also knew that I could never make those changes in my current position. In addition to this, I had also achieved my goal of becoming a top performer and wanted more. At around the same time I was having these thoughts, a new position was opening up in the Yell Agency. 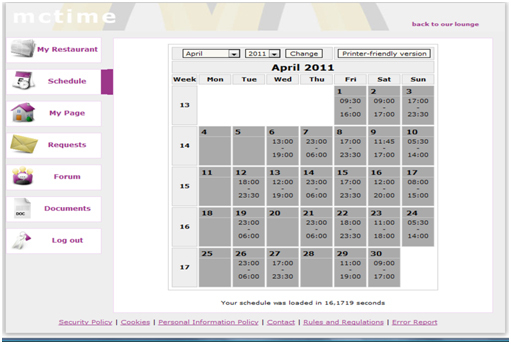 The Agency was another side of Yell that dealt with higher value clients. 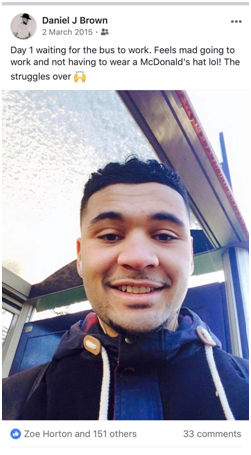 The job would have meant a large salary increase, speaking to bigger businesses and required me to move to Manchester – this was not going to stop me. Now from a business standpoint, I could completely understand their reasoning, however, this was a huge moment for me because I learned something about myself. I realised that if I was not in an environment where I could continuously grow, I would never be happy. No matter how much money you gave me, what benefits you offered or what incentives you provided, if I wasn’t able to grow and move towards a new goal, I would never be satisfied. Again… something had to change! 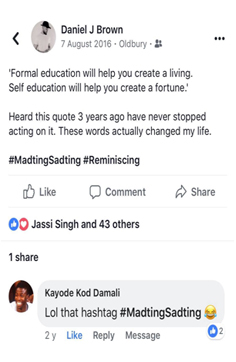 I thought the way to creating this ‘wealth’ was by getting good grades throughout school, getting a good job and then working my way up through the company to eventually reach a point where I’d achieved ‘success’. The story that most of us are taught from an early age. I had all of these different beliefs and ideas that had been programmed into me, only to reach this point, and still not be satisfied. I was beyond grateful, but not satisfied. 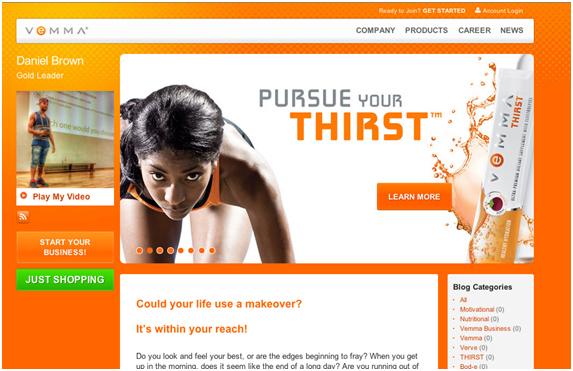 I knew I had more in me, and the only way I could truly express it and leave my mark was through my own business. 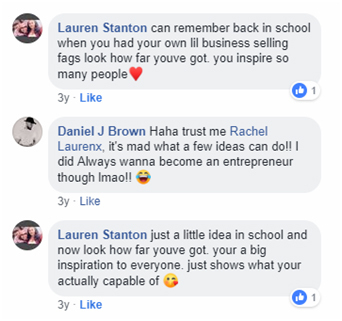 So at the start of May 2017, one month after becoming a senior consultant and getting a £2,000 salary increase, I decided to walk away from my job to pursue my dream of starting a business. I had an idea, a strong will and was not going to let anything stand in the way of my success! 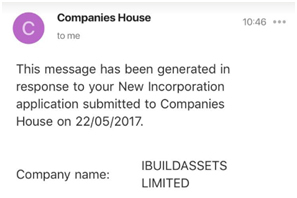 After leaving my job on May 17th 2017, I had set up my limited company by May 22nd. I had come up with a name, an idea and started to get to work. 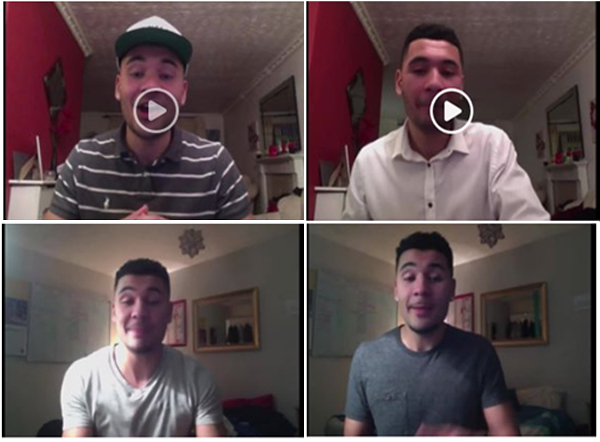 Earlier in the year I had completed an online training programme from Tai Lopez, showing you how to start your own social media marketing agency. 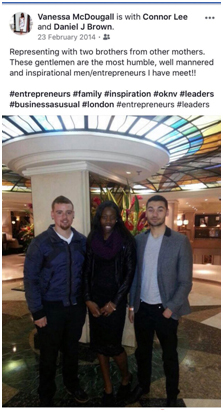 The plan was to take the ideas from the programme, combined with my knowledge from Yell and start helping restaurants get customers. 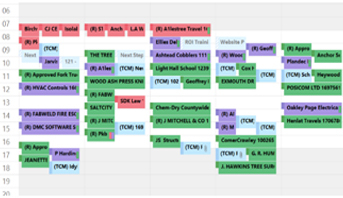 I went to network meetings, joined the Chamber of Commerce, cold called and direct messaged to get my first clients. 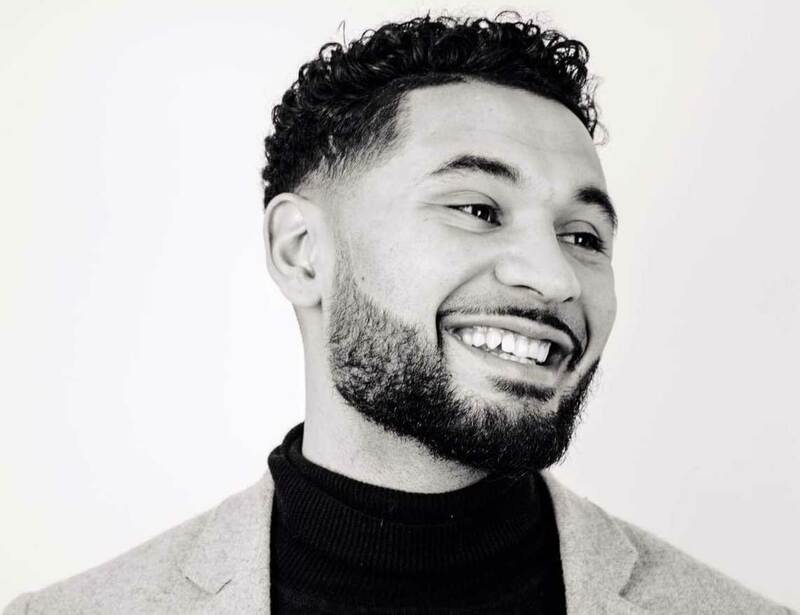 My goal was always to grow slowly, I knew I could sell, but in order to create a successful business, I had to prioritise quality over quantity – not a common practise in the digital marketing space. 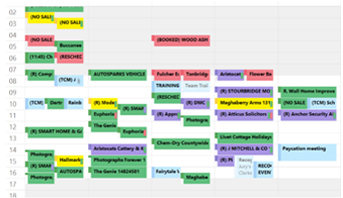 So after securing my first few clients I completely went off the radar. I did no self promotion, I wasn’t posting on my social media and I wasn’t trying 101 different things to get more clients. My goal was mastery. Mastering my craft with a sole focus on helping my clients get results. 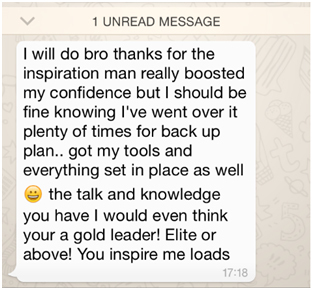 I literally became committed to my clients and learning everything I could about what it actually takes to help a business get results online. You see, I wanted to change the game. 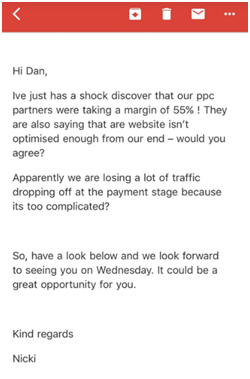 I knew that the current model was ineffective and business owners were getting stung all the time from the so-called ‘experts’. I also knew that I had an idea that could really help solve this problem. So in order to change it, I would have to develop the Model I had created and really get a grasp on every element of it. I needed to understand the whole picture and every aspect of it… it was time to hibernate and get to work. 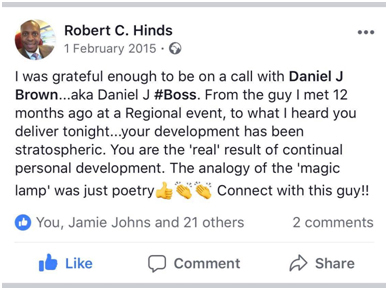 I share the screenshot above not so you think I am some raving lunatic who can’t stop thinking about business (even at Christmas), I share it because this represents the timestamp for me getting to the present moment in this story… It is 3 am in the morning on boxing day. I have had an amazing day with my family down in Swindon and after driving back home, I have spent the past 4 hours working on getting this finished. Over the previous pages, I have shared my personal 12-year journey with you and my intention has been to be completely transparent. I want you to see the good, the bad and the ugly so you can see that I am a normal guy who has just been committed to his goals. Over the past 18 months I have learned so much about myself, my business and what it actually takes to become successful. It is only now that I am really sharing my story for the first time and hopefully it can inspire you to keep pushing forward no matter what is standing in your way. So after 19 months of working behind the scenes with an obsession with client results, I now own a profitable marketing agency that is changing the way business owners think about their marketing. 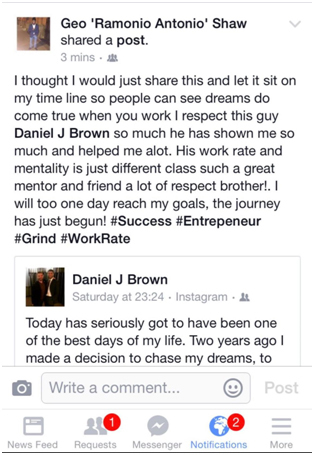 I never wanted to put the business out there until I was completely confident in the direction I wanted to take it. I wanted to stay lean, nimble and test things before I officially went to market. I wanted to focus on growth and not fame. You see, the problem today is that with the rise of the internet and online video, there are now thousands of people out there offering marketing advice and solutions. 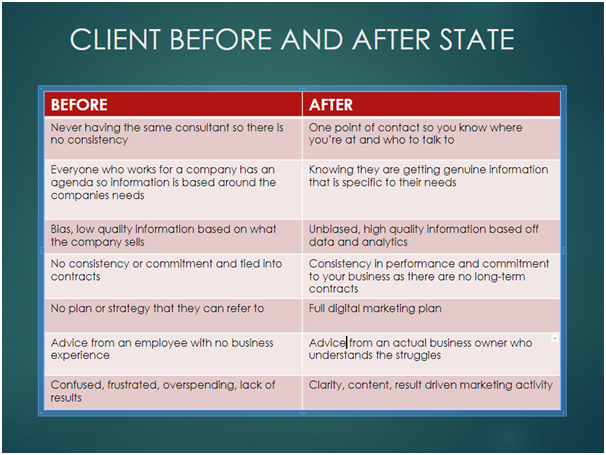 Marketing agencies and gurus are popping up all over the place and giving business owners bad advice that ends up in them making bad decisions and wasting a lot of money on ineffective tactics. The fact is, no matter how much you’ve been taught about digital marketing in the past, you’ve probably not been told the full story. I won’t say you’ve been lied to. It’s just there are many pieces to the puzzle and mastery comes from understanding all the pieces and knowing how they work together. Most gurus will only ever focus and master one piece. So our main mission here at We Build Assets is to first help business owners understand the big picture by introducing them to the Asset Marketing Model. 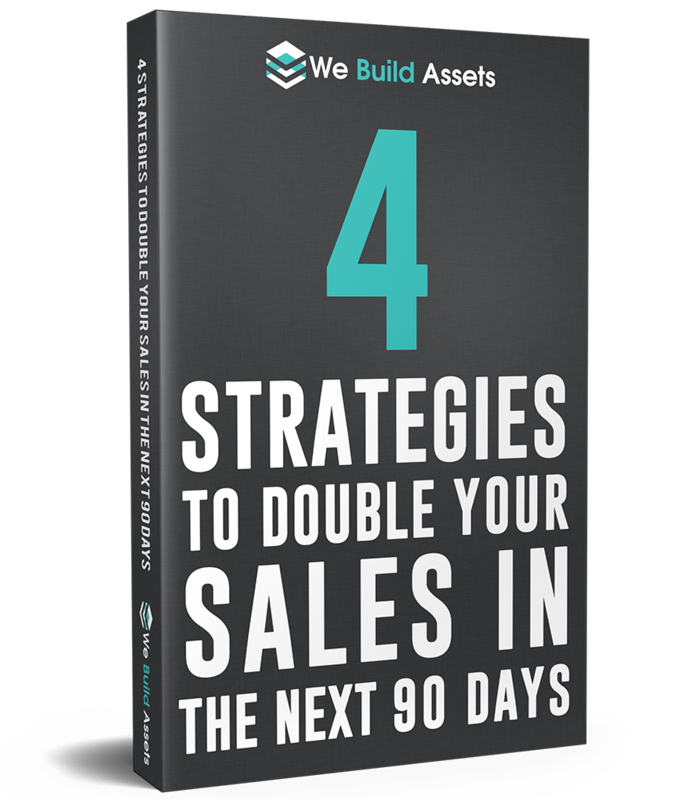 This is a powerful system that combines the 4 strategies you must focus on if you want to get the maximum return on investment from your marketing efforts. 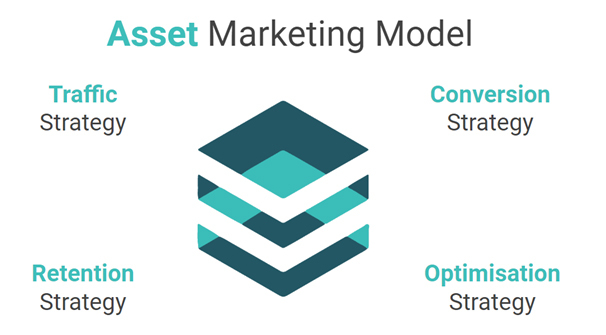 The Asset Marketing Audit is a unique process where we will devote our time, expertise and agency level resources to evaluate and give recommendations to your business. The Audit enables business owners to get quality, unbiased marketing advice, tailored to their business, all without ever having to speak to someone. 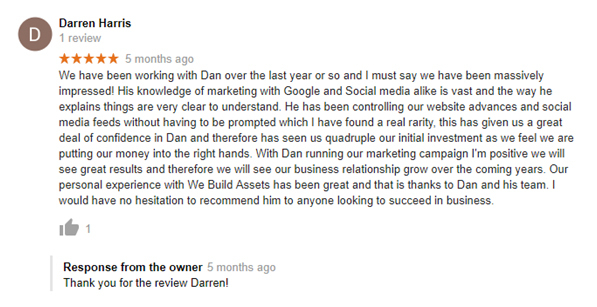 We have had nothing but positive reviews for this process so far and are so confident that it can add value to your business, that we offer a 100% money back guarantee if you feel it didn’t live up to expectations. You can find out more about the Asset Market Audit by clicking here. 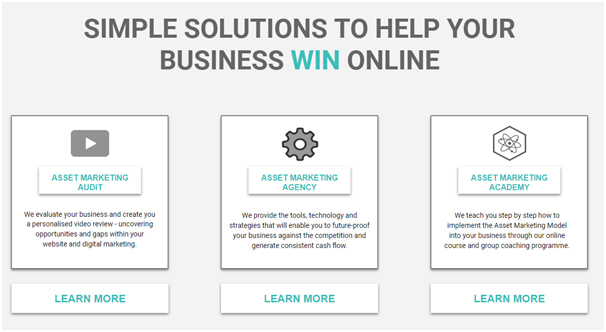 Within our Agency, we provide the tools, technology and strategies that will enable you to future-proof your business against the competition and generate consistent cash flow. We take a very holistic approach to your business and have structured our services in a unique way that ensures you will not be leaving money on the table. You can learn more about The Asset Marketing Agency by clicking here. 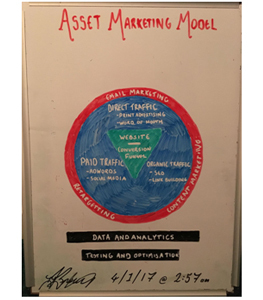 The Asset Marketing Academy is where we teach you step by step how to implement the Asset Marketing Model into your business through our online course and group coaching programme. This course is literally my life’s work and shows you step by step how to become a true marketing master and strategic business thinker. 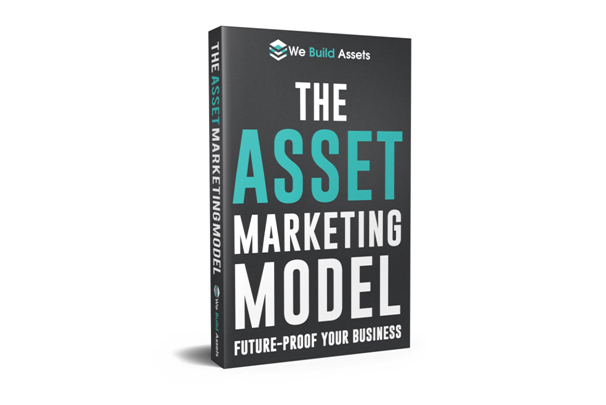 You can learn more about the Asset Marketing Academy by clicking here. Through this incredible journey, i have learned that nothing makes me happier than seeing other people change themselves and change their lives for the better. You are your most valuable asset and no matter where you have been or what challenges you face, you can build yourself into whoever you want to be. 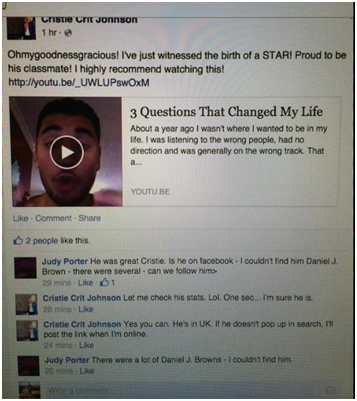 I am a testimony to this and I hope that my journey can inspire you with yours. What began as a struggle, became an idea, which struck a nerve and became a business. 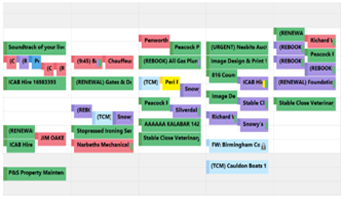 The We Build Assets team is here, and I’d love to see if we can help you.